You’re now entering an exciting new chapter in your life, pre-med school. Not only that but you have one of the most exciting aspirations, becoming a doctor. There’s going to be a lot of information thrown at you from advisors and mentors. However, there are some overview topics you should know and consider before starting your first year of pre-med college. The first thing you’re probably wondering, “Is there a pre-med major?” The short answer is no. Most medical schools accept any major, you just have to take and pass the required prerequisites. A lot of institutions are starting to accept students that have non-science majors as well. Just speak to your advisor and gain a firm understanding of what’s needed for medical school. The next thing you should know about your first year are the most popular majors for pre-med students. There are a few that stand out, as the knowledge you gain from these undergraduate degrees will vastly expand your knowledge of fundamental concepts necessary for medicine. 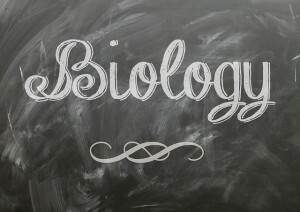 Pre-med students usually major in science, particularly: Biology, Chemistry, and variations of the two, such as Biomedicine. During your first year of pre-med you should speak regularly with your academic advisor and choose a major, something that speaks to you in the realm of science. Although it is true that many institutions are starting to diversify the majors they accept into medical school, the main staples are still the hard sciences. Being unsure about your undergraduate degree is a common problem with pre-med students; it can also bear negative results. Make sure you have reviewed your options and choose a major that appeals to you above all else. As a first-year pre-med student, you should also consider taking credits in the humanities. Learning a new language or instrument will display diversity in your application to med school. The advantage of being in your first year of pre-med is that your classes will be relatively easy as you are just learning the fundamental elements of your major. Taking only prerequisites and one art class, then continuing to further that humanities class throughout your four years of pre-med will show dedication and commitment.